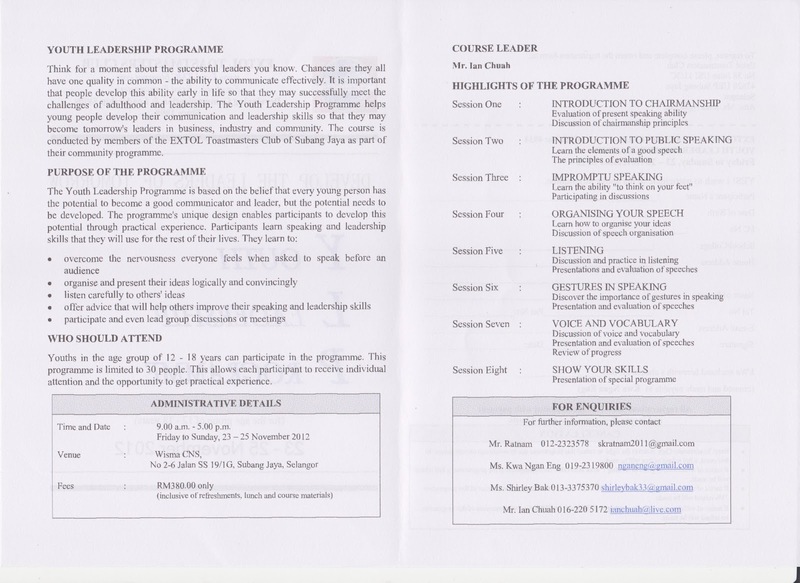 The annual Youth Leadership program is here again. 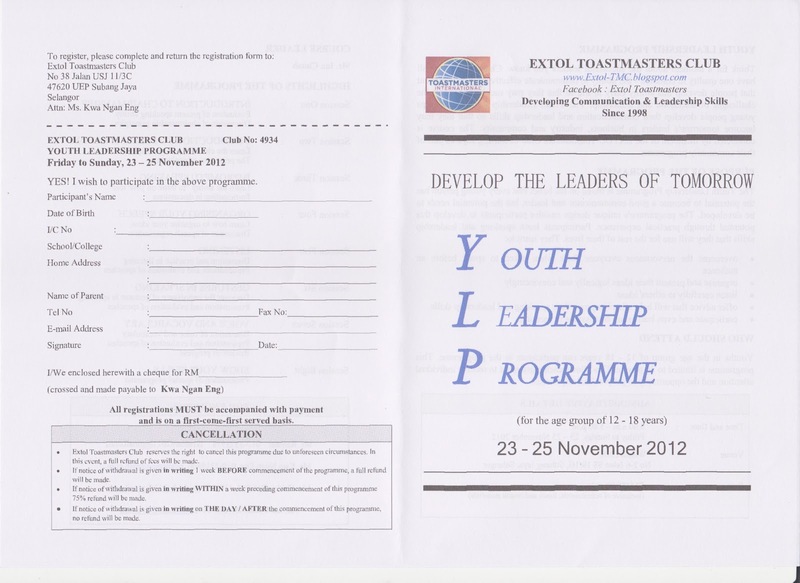 This year, it will be held from 23rd to 25th November 2012 (Friday to Sunday), from 9.00am to 5.00pm daily. This program aims at developing teenagers from 12 to 18 years old in communication and leadership skills. Building up their self confidence means the youths are better prepared for their future. For registration, please print and complete the brochure below and return the form together with payment as indicated in the form. Click on the image below to enlarge the form.